Pierce Babirak will soon clerk for the Honorable Judge Alice M. Batchelder, U.S. Court of Appeals for the Sixth Circuit. Previously, he served as the chief of staff to the president of the Foundation for Individual Rights in Education (FIRE) in Washington, D.C. He is also a former Teach for America corps member and Capitol Hill policy consultant. Pierce holds a B.A. in history from Grove City College, an M.S.E.d. from the University of Pennsylvania, an M.B.A. from the University of Virginia Darden School of Business, and a J.D. from the University of Virginia School of Law. Thomas Berry is an attorney in Pacific Legal Foundation’s DC Center. In 2019, Mr. Berry will begin clerking for Judge E. Grady Jolly of the U.S. Court of Appeals for the Fifth Circuit. Prior to joining Pacific Legal, Mr. Berry was a legal associate in the Cato Institute’s Center for Constitutional Studies. During law school, he interned at both Cato and Institute for Justice in Arlington, Virginia. His opinion pieces have appeared in The Wall Street Journal, National Law Journal, National Review, and The Hill, and his academic articles have been published in Federalist Society Review, Cato Supreme Court Review, and NYU Journal of Law and Liberty. Mr. Berry holds a J.D. from Stanford Law School, where he was a senior editor on the Stanford Law and Policy Review and a Bradley Student Fellow in the Stanford Constitutional Law Center. He graduated with a B.A. in liberal arts from St. John’s College, Santa Fe. 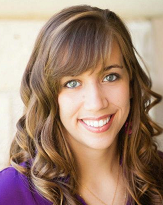 Rachel Busick is staff counsel at Americans United for Life, where she focuses on litigation involving constitutional and First Amendment issues. Ms. Busick previously served as a Constitutional Law Fellow at the Becket Fund for Religious Liberty and a judicial clerk for Judge Victor J. Wolski at the U.S. Court of Federal Claims. 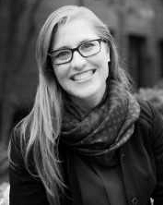 As a law student, she was a full-time judicial extern for Judge Sandra S. Ikuta at the U.S. Court of Appeals for the Ninth Circuit, a literary citation editor for the Pepperdine Law Review, and an editor of the Harvard Journal of Law & Public Policy. Ms. Busick holds a B.A. in mathematics and speech communication from Whitworth University and a J.D. from Pepperdine University School of Law. 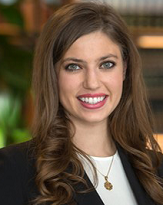 Christine Carletta is an associate at Whiteman Osterman & Hanna, where her practice focuses on commercial litigation and data privacy and cybersecurity. Previously, she clerked for the Honorable James C. Mahan, U.S. District Court for the District of Nevada. During law school, Ms. Carletta served as editor in chief of the Vanderbilt Journal of Entertainment and Technology Law and argued before the U.S. Court of Appeals for the Sixth Circuit as a part of Vanderbilt's Appellate Clinic. She also worked as a summer clerk for the United States Senate Judiciary Committee and the United States Attorney’s Office. Ms. Carletta holds a B.A. in government and legal studies from Bowdoin College and a J.D. from Vanderbilt Law School. Frank Chang clerks for Judge Henry F. Floyd, U.S. Court of Appeals for the Fourth Circuit. He will next clerk for Judge Jennifer W. Elrod, U.S. Court of Appeals for the Fifth Circuit. Mr. Chang serves in the Army National Guard in the rank of captain as an adjutant. 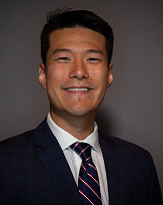 Previously, Mr. Chang has served as a law clerk to Senator Ted Cruz on the Senate Committee on the Judiciary, worked as a summer associate at Hogan Lovells, and interned for the West Virginia Solicitor General. Mr. Chang's publications appear on The George Washington Law Review. Mr. Chang holds a B.A. in political science from the Pennsylvania State University and a J.D. from the George Washington University Law School. John Ehrett clerks for Judge James C. Ho, U.S. Court of Appeals for the Fifth Circuit. Mr. Ehrett previously clerked for Judge Alex Kozinski, U.S. Court of Appeals for the Ninth Circuit. 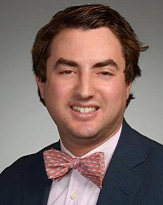 He also worked as a summer associate at Gibson, Dunn & Crutcher LLP and Bancroft PLLC, and interned at SCOTUSblog and the U.S. Attorney’s Office for the District of Connecticut. 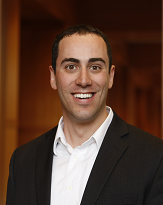 While in law school, he served as features and book reviews editor of the Yale Law Journal, a symposium editor of the Harvard Journal of Law & Public Policy, and a research fellow at the Connecticut Policy Institute. He holds a B.A. in government (International Politics and Policy) from Patrick Henry College and a J.D. from Yale Law School. Josh Hammer clerks for Judge James C. Ho, U.S. Court of Appeals for the Fifth Circuit. 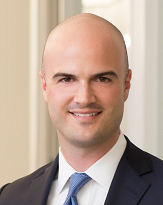 Previously, he worked as an associate at Kirkland & Ellis LLP. Mr. Hammer has also served as a religious liberty intern with the Ethics and Public Policy Center, a law clerk on the U.S. Senate Judiciary Committee staff of Sen. Mike Lee (R-UT), and a delegate candidate for the presidential campaign of Sen. Ted Cruz (R-TX). He has been a frequent contributor to The Daily Wire, The Resurgent, and RedState. Josh holds a B.S. in economics from Duke University and a J.D. from the University of Chicago Law School, where he was a chairman of his conservative debating society. 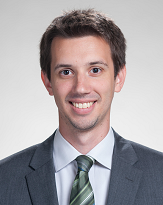 Alexander Hoffarth will clerk for Judge Diane Sykes at the U.S. Court of Appeals for the Seventh Circuit. 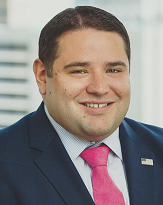 He previously worked as a summer associate at Hogan Lovells and as a law clerk for the Republican Attorneys General Association. 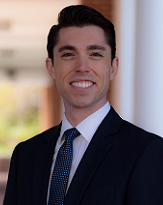 As a law student, Mr. Hoffarth was a member of the editorial board of the Virginia Law Review. Prior to law school, he worked as an equity research assistant for the asset management firm Manning & Napier in Fairport, NY. He holds a B.A. in political science from Boston College, an M.B.A from the University of Virginia Darden School of Business, and a J.D. from the University of Virginia School of Law. Thomas Molloy is a J.D. student at the University of Chicago Law School, where he serves as the online projects editor of the Law Review and as a research assistant for Professor Richard A. Epstein. After law school, he will clerk for the Honorable Edith Jones of the U.S. Court of Appeals for the Fifth Circuit. He worked as a summer associate at Gibson Dunn, O'Melveny & Myers, and Boyden Gray & Associates. Thomas is a licensed minister and prior to law school served as a pastor, professor of philosophy and religion, and director of ministry formation for a religious college. He received his B.A. in biblical studies from Life Pacific College and an M.A. in Philosophy of Religion and Ethics from Talbot Theological Seminary. 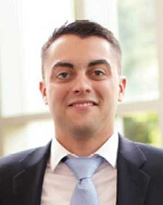 Cameron Norris is a law clerk to Associate Justice Clarence Thomas, U.S. Supreme Court. Mr. Norris previously worked in private practice at Consovoy McCarthy Park PLLC in Arlington, Virginia; clerked for Judge William H. Pryor Jr., U.S. Court of Appeals for the Eleventh Circuit; and clerked for Judge Karen LeCraft Henderson, U.S. Court of Appeals for the D.C. Circuit. Mr. Norris holds a B.A. in mathematics, philosophy, and political science from Vanderbilt University and a J.D. from Vanderbilt Law School. Stephen Petrany recently finished clerking for Justice Samuel A. Alito of the United States Supreme Court. He previously worked as an associate at Jones Day, and before that he clerked for Judge William H. Pryor of the United States Court of Appeals for the Eleventh Circuit. He holds a J.D. from Yale Law School and a B.S. in economics and political science from the University of Pittsburgh. 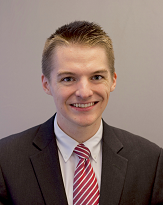 Aaron Reitz is a law clerk for Justice Jimmy Blacklock on the Texas Supreme Court. 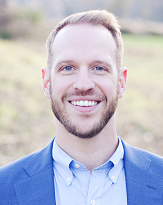 Before clerking for Justice Blacklock, Aaron was an associate at Bracewell LLP in Houston. He graduated from the University of Texas School of Law in 2017. In law school, he was president of the Texas Federalist Society, editor in chief of the Texas Review of Law & Politics, executive editor of the Harvard Journal of Law & Public Policy, and a Blackstone Fellow. Before law school, Aaron was a captain in the United States Marine Corps. He deployed once to the Helmand Province of Afghanistan, where he served with 2d Battalion, 4th Marines’ Embedded Training Team advising the Afghan National Army. Aaron graduated from Texas A&M University in 2009 with a B.S. in political science and was a member of the Corps of Cadets. Martin J. Salvucci will soon clerk for Chief Judge Timothy Tymkovich, U.S. Court of Appeals for the Tenth Circuit. He will next clerk for Chief Judge Leonard Stark, U.S. District Court for the District of Delaware, and Judge Thomas Ambro, U.S. Court of Appeals for the Third Circuit. 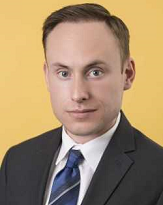 Martin was previously a Summer Associate at Klee, Tuchin, Bogdanoff & Stern LLP in Los Angeles and Skadden, Arps, Slate, Meagher & Flom LLP in New York City. He also worked as a research assistant for Professor William Baude. Martin holds both a B.A. and an M.A. in political science from the University of Chicago, as well as a J.D. from Stanford Law School. Bethany Spare currently clerks for Judge Reed O’Connor, U.S. District Court for the Northern District of Texas. Ms. Spare will clerk for Judge James C. Ho, U.S. Court of Appeals for the Fifth Circuit during the 2018-19 term. Previously she worked as a summer associate for the Criminal Division of Antitrust in the Department of Justice where she assisted in investigating collusion and bid-rigging. She holds a J.D. from the University of Texas and was a visiting student her third year at the University of Chicago Law School. During law school, she served as submissions editor for the Texas Review of Law & Politics. She holds a B.A in history and political science from Kansas State University and a master’s degree in Modern British and European History from University of Oxford, where she attended on the Rotary Ambassadorial Scholarship.